I love a Gallery Wall and have blogged about them a few times here. I have been meaning to create one at The Cottage for a while now and when I came across Minted.com and all the fabulous artwork and prints they have I was instantly inspired. I was a bit hesitant at first ordering online and shipping to Barbados but they arrived in 3 days and in perfect condition. 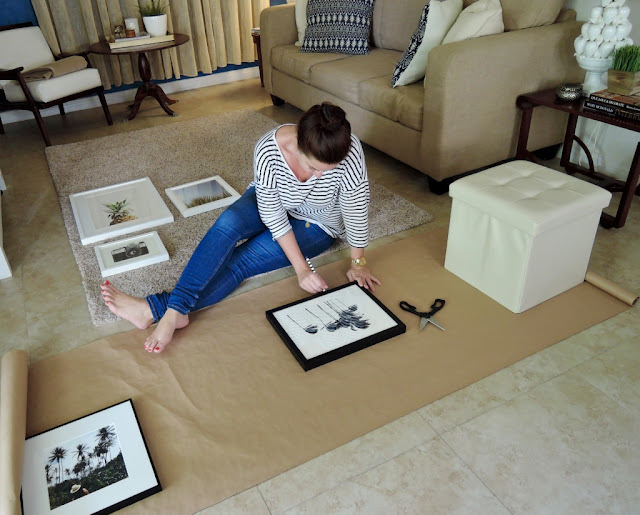 I used 5 prints from them and then framed one of my Instagram shots from the "Only in Barbados" exhibiton as well as a gold foil Barbados print from The Frame and Art Gallery. 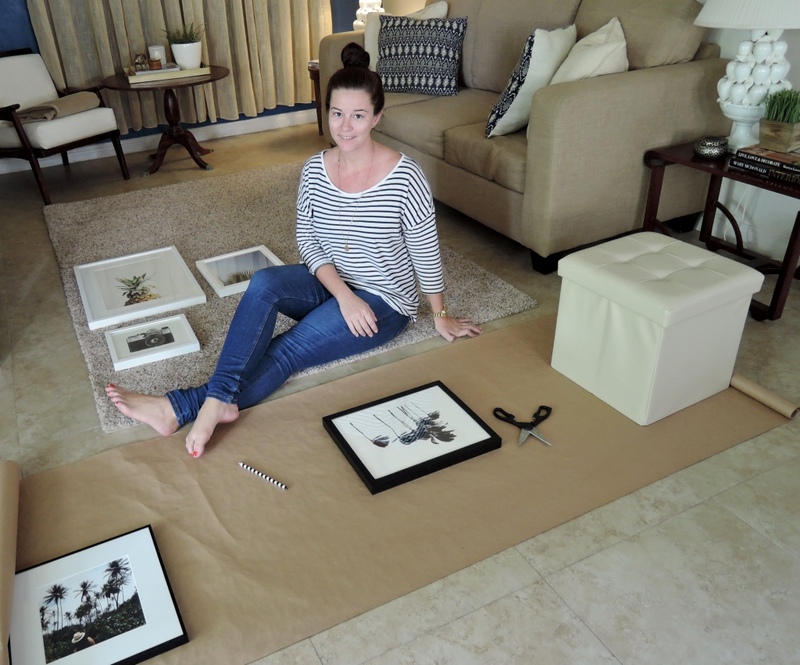 See below my Step-by-step DIY guide on how to create your own gallery wall! I have spent years on Pinterest pinning interiors inspiration and even have a whole board dedicated to Gallery walls so the inspiration part was easy. 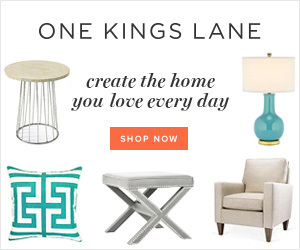 I visited Minted and chose about 15 that I liked. I then used a program on their website which allows you to position the prints and see them together on a wall. After this I narrowed it down to 5. The other two were pieces that I had previously. 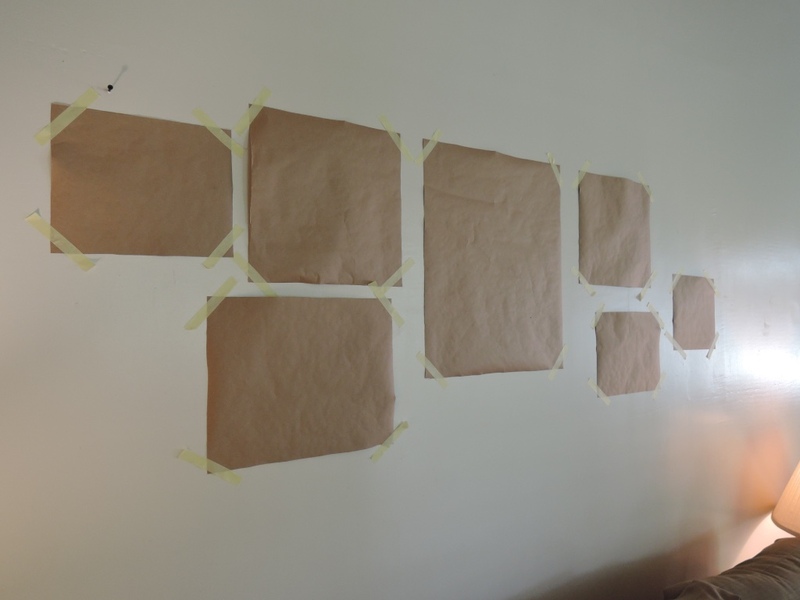 I traced the shape of the frames onto paper from the stationary store and then cut out the shapes. I stuck my paper on the wall in the position I wanted it and then hammered some nails into the wall. Unfortunately I had to change up my layout a little bit to line up with the studs in the walls. The process was a little more challenging than anticipated but after a little help we managed to put it together. 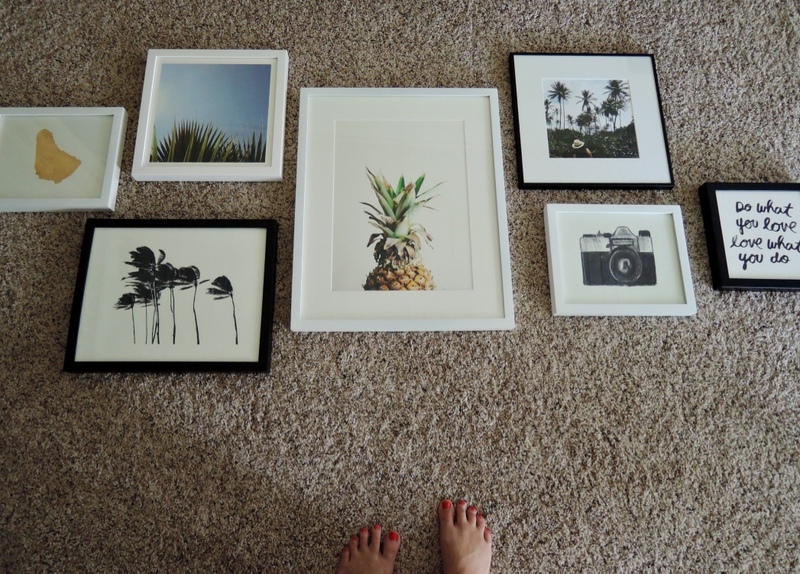 I am already eyeing some more pieces from Minted so another Gallery Wall may be in my future. 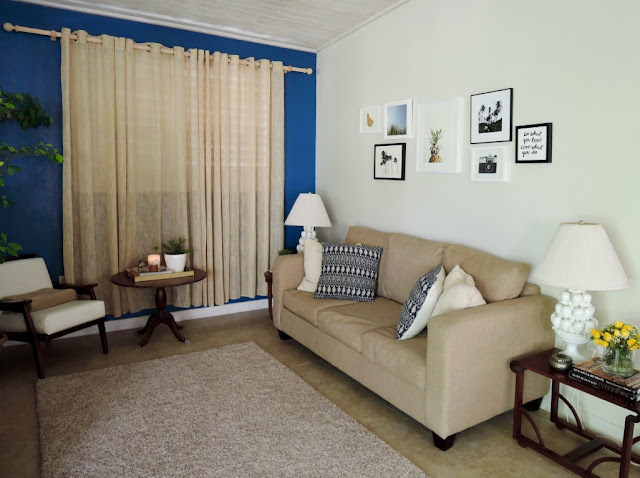 Design friends - What are your thoughts on the blue feature wall? I am kind of over it now and thinking to paint it back white and changing out my cushions to black and white. I would love your feedback!